One of the questions I am most frequently asked is, “What’s the biggest bull you’ve personally guided?” I haven’t always been a trophy hunter when it comes to helping my clients fill their tag. In the beginning, I was happy as long as my client was happy. Size just wasn’t an issue 20 years ago. Back then people came to the west and were just happy to hunt elk. To kill a solid 6X6 would more than satisfy most hunters. Size was not as important then as it is today. I consider myself lucky because I got to cut my teeth on wackin’ and packin’ 6X6 bulls. I learned a lot in those days about elk and the hunt. Unfortunately, as time went on, killing elk became a job and much of the thrill was gone. In the late ’90s I worked for a large outfitter who always booked a lot of hunters. All season long we traveled from hunt to hunt. For four months we guided hunters on public and private lands. One day my best friend and I tried counting how many elk we had guided. After about 20 minutes we gave up. I don’t say this to brag. The fact is that when he and I started guiding, you either produced or fell to the side as a guide. 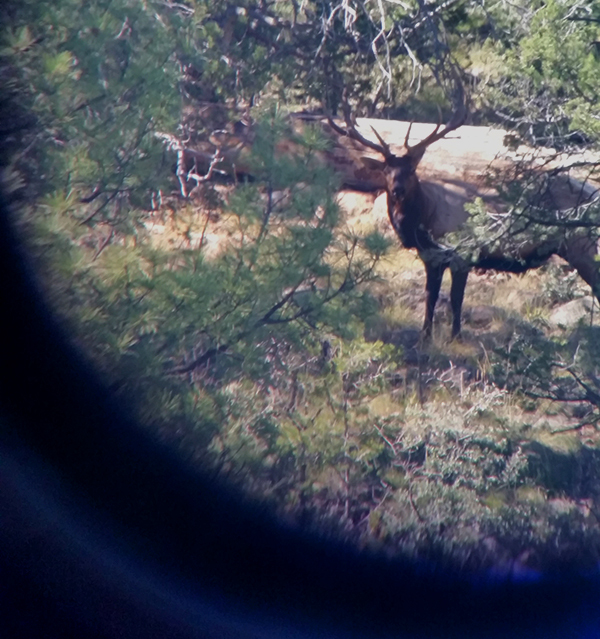 During a rifle hunt we passed on this mid 350s bull. Later the hunter got impatient and ended up shooting a smaller 345 bull. Trophy hunting only works if you’re committed to hunting for the big boys. With hard work, patience and determination the chances increase for taking a bigger bull than the one you pass. I grew up in an extremely elk rich environment. The area proved to produce some of the most elite guides in the country, and I worked with most of them. Still, trophy hunting was not as popular then as it is today. Guides would drag in a big monster bull every now and then and we would all ooo and aww, but mostly you just saw a good bull and got the job done. As time went on, I had the opportunity to start my own outfit. Although working for myself was better, the years of repetitiveness wore on me, making what should have been a dream come true—just a job. I feed my family by killing elk. As great as that sounds and as grateful as I am for the opportunity, like with most jobs, the fun and excitement faded and was eventually gone. 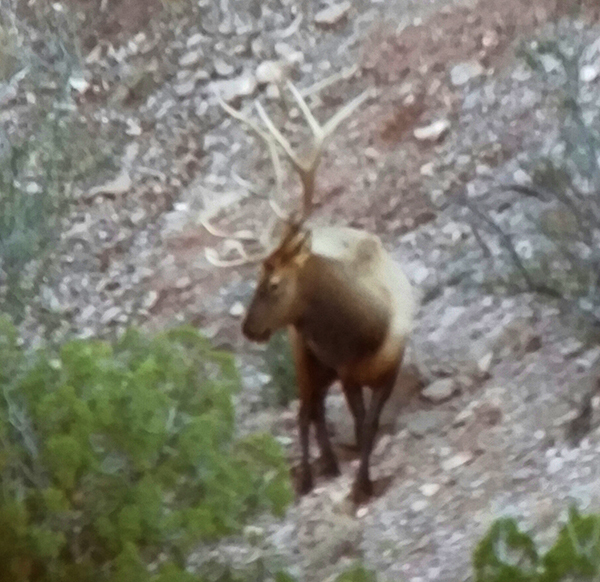 Super solid 350 bull I talked my hunter into passing during Arizona late rifle. We were having no luck turning up the giant we were hunting and with time ticking he wanted to shoot this bull. He went with my recommendation to walk away. 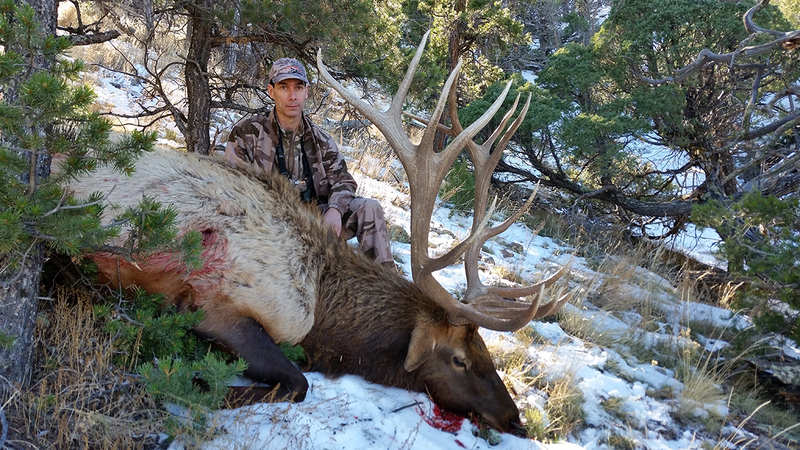 Luck has it that two days later he killed the largest bull taken in the state that year. To fix this I started changing the way I hunted. I began challenging myself. I began pushing myself—as well as my hunters—to go above and beyond on each and every hunt. 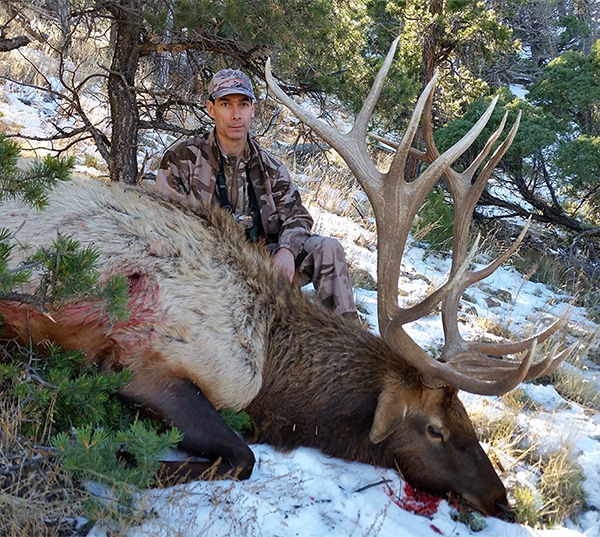 Through this effort and change of attitude, it wasn’t just about shooting elk anymore. It was about the hunt. The hunt became the main focus—not the kill. The kill was the end of the hunt. This new perspective and focus led to hunting for a purpose. The purpose was size and with size came age. The extra effort required to successfully kill a monster bull cultivated a much stronger sense of accomplishment when we finally did kill. 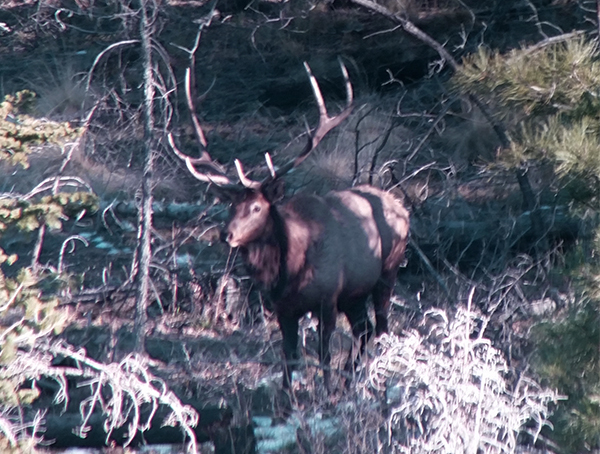 This hunter passed 30 bulls prior to taking this wide 350 bull. 330 bull our hunter passed before he shot a 366 bull. The 366 bull taken after passing on the 330 bull. This change helped me regain the love and passion I originally had for hunting. Searching the hills for the biggest and baddest boy around may not be for everybody. It’s a lot of work. A lot of early mornings and late nights. Very rarely are there any slam dunks in trophy hunting. When pursuing a specific animal, everything changes. The difficult days just got even more difficult. Passing really nice animals to hunt the next level is never easy for the hunter or the guide. It’s all about the challenge and the satisfaction that comes with success. It’s what we do and we live for it. 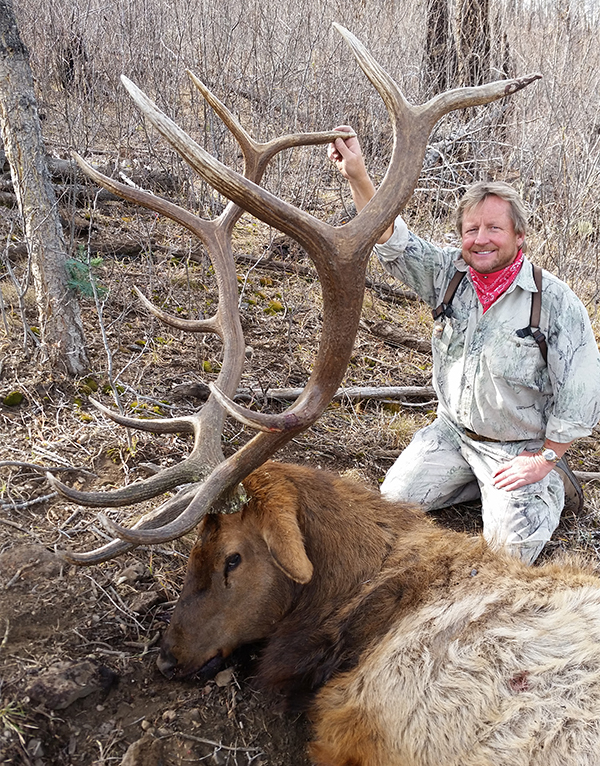 Stay tuned for Part 2 of this Thrills & Kills story when Jeff Lester will tell of the biggest bull he ever guided.